It’s a coloring book like no other — all it takes to bring that magical time to life is the stroke of a colored pencil. and a delight for history buffs. 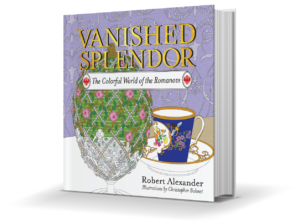 Infused with Robert Alexander’s deep knowledge and love of Russian culture and art, and detailed by Christopher Bohnet’s intricate skills, the coloring book captures in soul and spirit the fascinating era of the Romanovs, where nothing was done until it was overdone. 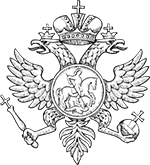 majesty and mystery of lost Russia. © 2019 Robert Alexander Books All Rights Reserved.